In a world where over 31% of adults deal with untreated dental issues, the goal of modern dentistry needs to be to find ways to make a patient's time at the dental office easier to handle. One of the biggest reasons that people fail to take care of their dental health is due to fear of the dentist. Another reason is lack of time to take care of issues that many assume will require a lengthy process to fix. CAD CAM dentistry can take care of both of these problems by making a dental visit easier on the patient and by requiring fewer visits to complete treatment. But what exactly is CAD CAM Dentistry and what are its benefits? 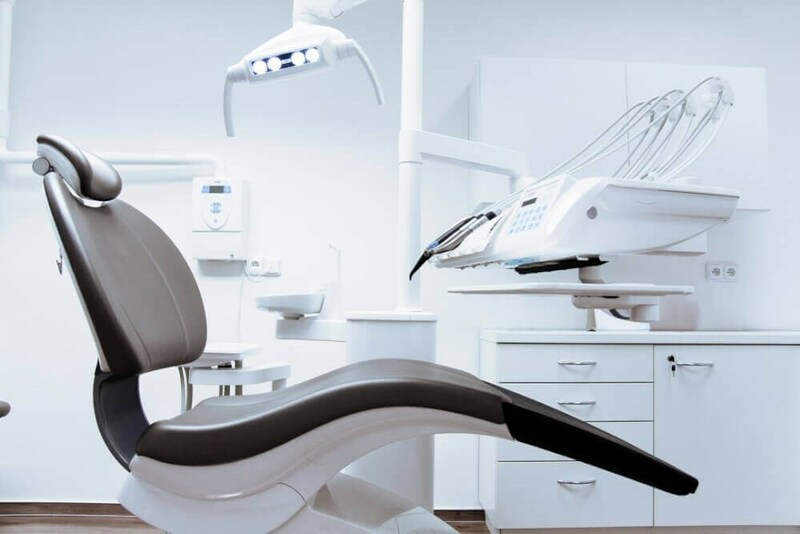 Read on to find out more about how this modern technology can help give you the perfect smile and more reason to go to the dentist. In order to understand the many benefits of CAD CAM Dentistry, we have to take a look at exactly what it is. CAD CAM Dentistry stands for Computer Aided Design and Computer Aided Manufacturing Dentistry. These are terms that describe highly specialized software and machines that allow dentists to perform more procedures more quickly and accurately. CAD CAM dentistry first showed up in 1985 as an innovative way to help develop and built restorations for patient's teeth. Since then, technology hasn't slowed down and it has become even better and more accurate. We will use a digital laser scanner of your teeth and sends a 3D image to the lab. The lab will scan that file and use it to digitally create an extremely precise permanent restoration for your mouth like crowns or veneers, and even Invisalign(R) aligners. Now that you know the basics of CAD CAM dentistry, let's take some time to focus on the benefits. Think about it. For most of us, it's already hard enough to walk into the dentist's office during our regularly scheduled visits. The last thing you want is to have to come back over and over again for a placement or another fitting because the first (or second) one didn’t fit well. One of the many benefits of CAD/CAM dentistry that it's a technique that can work to save you time in the dental chair. For some CAD/CAM related procedures, dentists can have you in and out in one appointment, which really helps save time when you drive far to get dental care. While using physical impression techniques have been the tried and true methods for many years, they're not perfect. The finished impression can shrink or expand depending on the temperature around it and can cause the fit of your restorations to be inaccurate. The accuracy of these restorations is of paramount importance. If they're too small, they could cause pain and if they're too big, they leave spaces where plaque and decay can fester. Another one of the many benefits of CAD/CAM Dentistry is that you can continue to receive top quality care thanks to the types of restorations these machines use. All white or cosmetic restoration don’t contain the metal that blocks x-rays, so your dentist will be able to see any potential decay that could be hiding underneath. With restorations like porcelain fused to metal or traditional gold crowns, it's a lot of guesswork that can be very painful in the end. For traditional impressions, the dentist will have to fill up a tray with impression material and place it in your mouth - the “goop”. The impression material doesn't taste very good and the dentist will have to leave it in your mouth for a set amount of time to allow the material to harden around your teeth. This is an uncomfortable process that most patients can't stand. Impressions are especially hard if you have a particularly touchy gag reflex or if you have difficulty breathing through your nose. The impression material typically fills your whole mouth and requires you to breathe through your nose for the duration. Once the impression has set, the dentist will remove the impression from your mouth in a process that can feel uncomfortable and unusual. The act of taking impressions isn't an exact science either, so there is a fair chance that they may have to take more than one. CAD CAM dentistry will make a digital replication of your teeth in a process that is much less difficult for you. When you receive a dental restoration, the hope is that it will stick around for a long time. However, the fact is that sometimes things go wrong and dentists need to replace restorations after they've broken or fallen out, or because the patient has lost something removeable..
For example, if you’re doing Invisalign orthodontics, take a tray out to eat in a restaurant but forget it when you leave, it’s a simple process to get another one exactly like the one you lost. One of the best parts of restorations and Invisalign aligners crafted through CAD/CAM dentistry is that you won't have to go through another lengthy, difficult process of an impression. Instead, the program keeps your teeth on file and all the lab has to do is create another restoration or aligner using that digital image. Modern dentistry continues to strive to make things easier and easier for patients. At the end of the day, it's important that we all spend more time focusing on our oral health, and nothing makes that easier than when technology comes into play that can make a visit to the dentist more gentle and less time-consuming. CAD CAM dentistry is the way of the future. Here at Dallas Laser Dentistry, we use an Itero(R) digital laser scanner. This scanner gives us the ability to create a more precise restoration that won't take as long to seat in your mouth and will fit your mouth more accurately than those done with traditional impressions. For more information about CAD CAM dentistry, or to schedule an appointment, visit us today!